Diana was born in Riga into a well-known family of musicians. She commenced her studies of music and piano at the age of five at the E Darzins specialized music school in Riga, and played her concerto debut at the age of 11 with Latvian National Symphony Orchestra under the baton of Vassily Sinaisky. Diana graduated from the Latvian Academy of Music with a first class Honours degree in 1993, having studied with Theofil Bikis. From 1992 to 1994 she studied at the Mozarteum Academy in Salzburg under Karl-Heinz Kammerling. In 1994 Diana continued her studies at the Royal Academy of Music in London under Christopher Elton. She graduated in 1996, receiving the Dip RAM. In 1996/1997 and in 2000/2001 Diana was awarded the Hodgson Piano Fellowship at the Academy. Diana has appeared as a soloist with Salzburger Kammerphilharmonie, Munich Chamber Orchestra, Sudwestdeutsches Kammerorchester, Riga Chamber Orchestra, Georgisches Kammerorchester and Latvian National Symphony Orchestra. She has performed extensively in Britain, Japan, Canada, Russia and most European countries. Her engagements have included performances at the Gstaad Musiksommer Festival , Ravello Music Festival, St Gallen Musikfestival, Carinthischer Sommer and Kobe International Art Festival. Diana has given recitals at the Bridgewater Hall in Manchester, Purcell Room, Glenn Gould Studios in Toronto, Tokyo Opera City Hall, Osaka Symphony Hall, Atheneum in Bucharest and other prestigious venues. She has collaborated with artists such as Wolfram Christ, Konstantin Lifschitz, Daishin Kashimoto, Adrian Brendel, Baiba Skride, Remus Azoitei, Sasha Sitkovetsky, Bernhard Hedenborg, Narimichi Kawabata, Inga Kalna and Marlis Petersen. As a member of the Ensemble Raro, she regularly tours Europe and Japan. 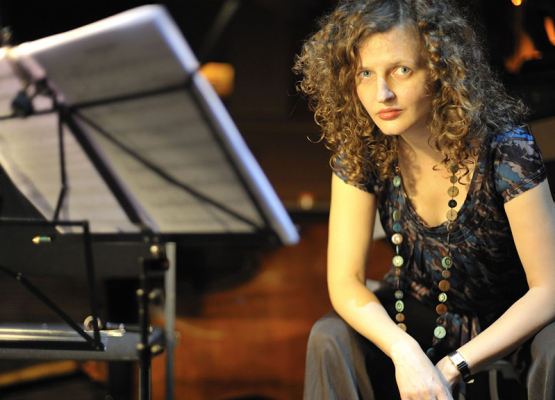 Diana has given a number of British and German premieres of the works by contemporary Baltic composers and collaborates closely with Peteris Vasks and Arvo Pärt. Diana’s performances have been broadcast on radio and television in Japan, Britain (BBC 3, Classic FM), Germany (Bavarian Radio), Romania, Latvia and Austria. Since 2003 Diana has been professor of piano at the Royal Academy of Music. She has given masterclasses in Spain, Czech Republic, England, Latvia and former Yugoslavia, and has served as a jury member at the International Piano Competition Jeunesses Musicales in Bucharest. Since 2004 Diana has been Artistic Director of the Chiemgauer Musikfrühling Festival in Bavaria, Germany.